I met Anthony at his corner on Tuesday morning. His bright yellow Street Sense vest makes him easy to spot. His face was tired and almost melancholy. He spotted me and the edges of his mouth perked up as we shook hands.I asked him how he had been feeling and he said he felt OK. In spite of this, I felt he was a little down though. I probed a little deeper and he shrugged it off and changed the subject. “How is the writing coming? You meet your goals?” he asked. We decided to go get some lunch first and then discuss our progress. I’d promised Anthony that I would take him to Ray’s Hell Burger over in Rosslyn – a place that I normally would say has the best burger I’ve ever had. But this time was a disappointment. It fell short – the quality seems to have slipped there. On top of that I was feeling guilty taking him to a burger place when I know that he needs to eat healthier given his recent visit to the hospital. Anthony ordered the Soul Burger – a six ounce all beef patty topped with bacon, swiss cheese, sauteed mushrooms and grilled onions. “I don’t want any mushrooms though,” he said in a low voice to the cashier. I got the New Jack Zing – a blackened 6oz patty cooked medium and topped with grilled onions, charred jalapenos and roasted garlic. 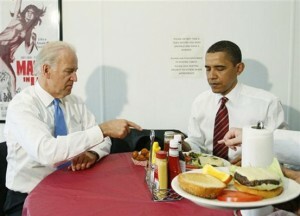 Anthony didn’t comment much on his burger – which I know meant that he wasn’t overly impressed. Our conversation was a bit awkward at the table. I still felt something was bothering him or maybe he was just really tired. Sleeping on the streets can be exhausting on the body. When he did speak, I had a hard time hearing him. Partly because he sometimes talks quickly in a low tone and partly because I’m half deaf in one ear. We finished up and headed next door to Bean Good Coffee Pub – an attractive little café that you want to like. With two hot cups of caffeine in front of us, we started reviewing our progress. Anthony was supposed to contact a few people. One he said he couldn’t get a hold of the other he left a message for. I encouraged him to keep following up with them but he wanted to go a different direction and contact some other people that he believed might be better situated to assist him in securing housing. At some point our conversation got sidetracked to Anthony’s past. 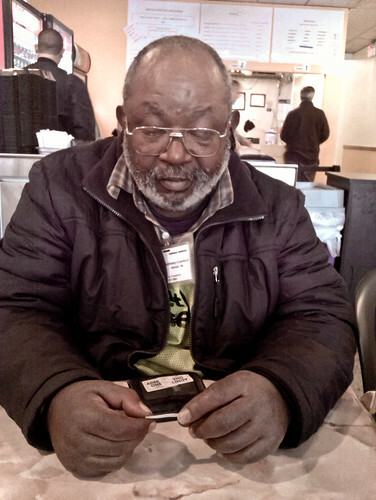 He spent nearly 30 years stuck in a revolving door of our prison system. I knew he had been incarcerated before, but I wasn’t sure why. I got the full story which I will share with you in another post. We then went over my tasks. I had mapped out my writing schedule which is composed of 13 hours each week. It doesn’t sound like much, but that pretty much fills in all the cracks of free time that you have. “You’re gonna have to limit your socializing,” Anthony told me. He was right. I had built a set schedule showing the times that I would be writing. I opened up my laptop and showed him the calendar – he seemed to approve. I had also reached out to a career coach who I met with today to talk about how to best help Anthony determine what careers he is most interested in and also how to conduct his job search in an effective manner. I feel like I know these sort of things, but it’s best to consult with someone who is an expert on this. We mapped out our to do list for our next meeting. Anthony had some phone calls and meetings he needed to try to schedule as well as a physical related to his disability insurance. I agreed to reach out to two individuals we thought might be able to help Anthony with housing, meet with the career coach and start tracking my writing routine. We drove back into DC and I dropped Anthony at the Street Sense headquarters so that he could buy some more papers.